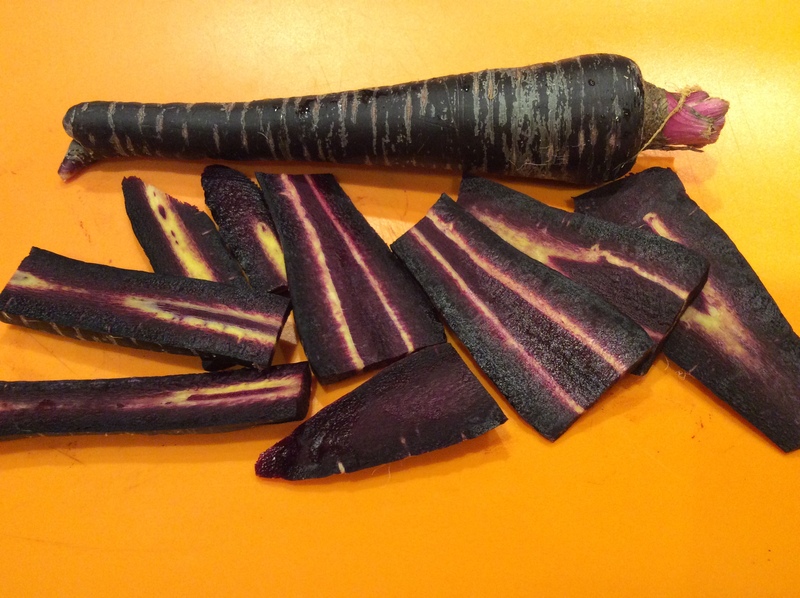 I like carrots in general, and this year I’m especially enamoured of the carrot variety named Deep Purple. As you see above, it is not a wimpy purple-blushed orange carrot. It is a startling deep indigo-violet right to the core. 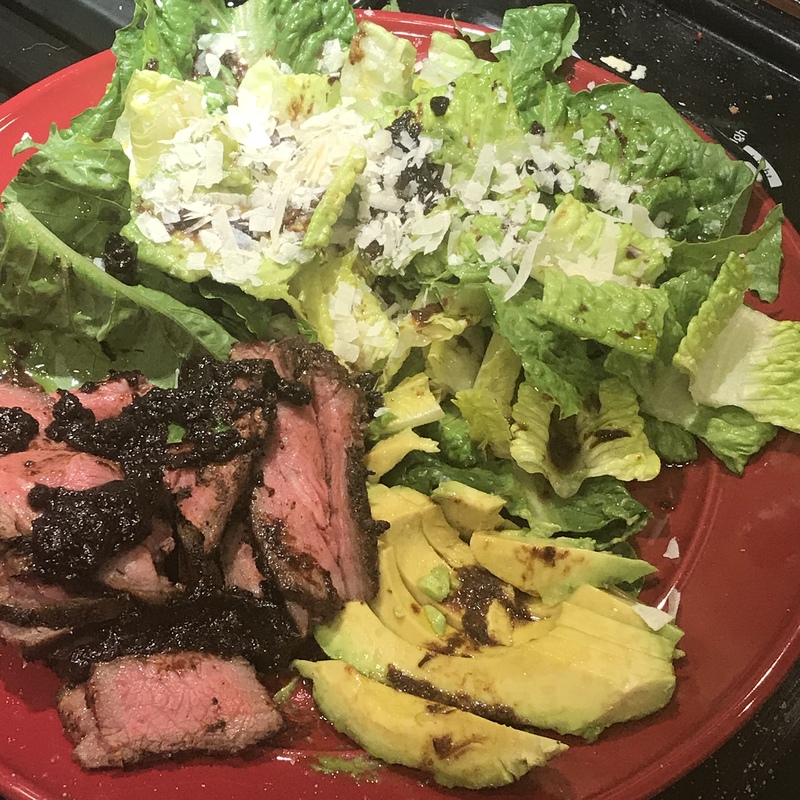 It is packed with anthocyanins, which can only do us good, and the flavor is a bit less sweet than many modern hybrids, which suits my preferences. I like carrots, not candy bars. 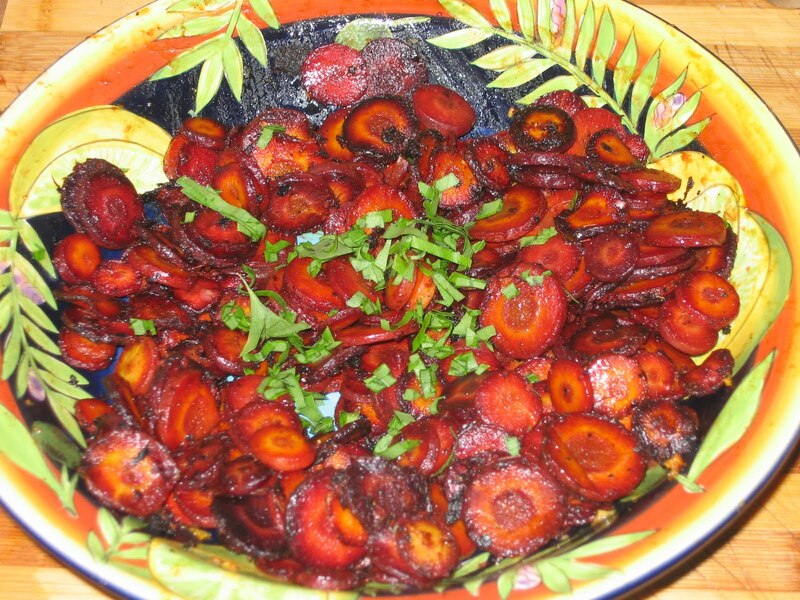 If you are accustomed to boiling carrots you will need to rethink your strategy, because the rich anthocyanin content in this one makes it bleed on the plate like boiled beets. This is not attractive, and I am no fan of boiled vegetables anyway, so a cooking method that keeps its juices inside where they belong makes sense. I am cooking a lot of carrot steaks lately and this is a great method for quick vegetable accompaniments that requires no forethought. The prep is quick. Catch your carrots, scrub them thoroughly, cut off the tops and bottoms, and cut the body of the carrot lengthwise into “steaks” of the thickness that you prefer. I like 1/4″ because I like them to cook quickly and get a little cooked clear to the center. I cook all the odd-shaped side slices because they are all delicious; the tapering parts get a little gooey and caramelized, which adds depth and savor. I salt the slices lightly, rub them with good olive oil, and add any seasoning that I might want. 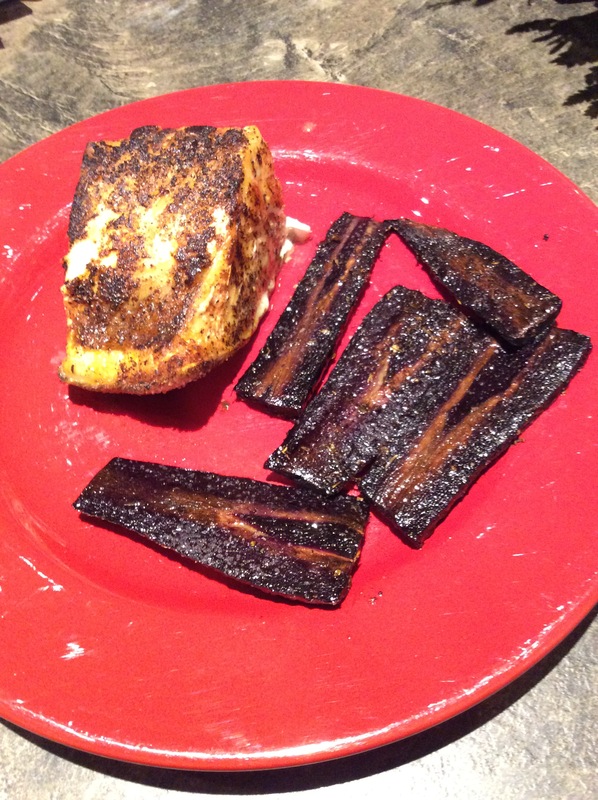 In the case shown here they were to accompany blackened fish chunks and so I dusted them lightly with blackening spices. After you cook your entree, or in a separate nonstick skillet, heat the pan over medium-high heat and lay in the carrot slices, not letting them touch each other. 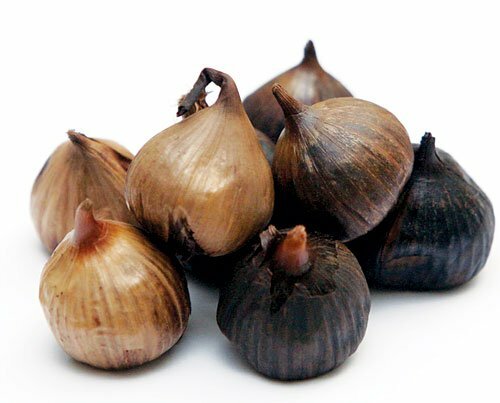 Let them cook at a brisk sizzle until the underside looks cooked and is deep brown in spots, flip, and repeat. Serve and eat. Incidentally, when I say “nonstick skillet,” these days I mean seasoned cast iron. The newer ceramic-lined nonstick skillets might be safer than the older ones, but their nonstick qualities rapidly break down if used over high heat and they are not considered safe for use under these circumstances. 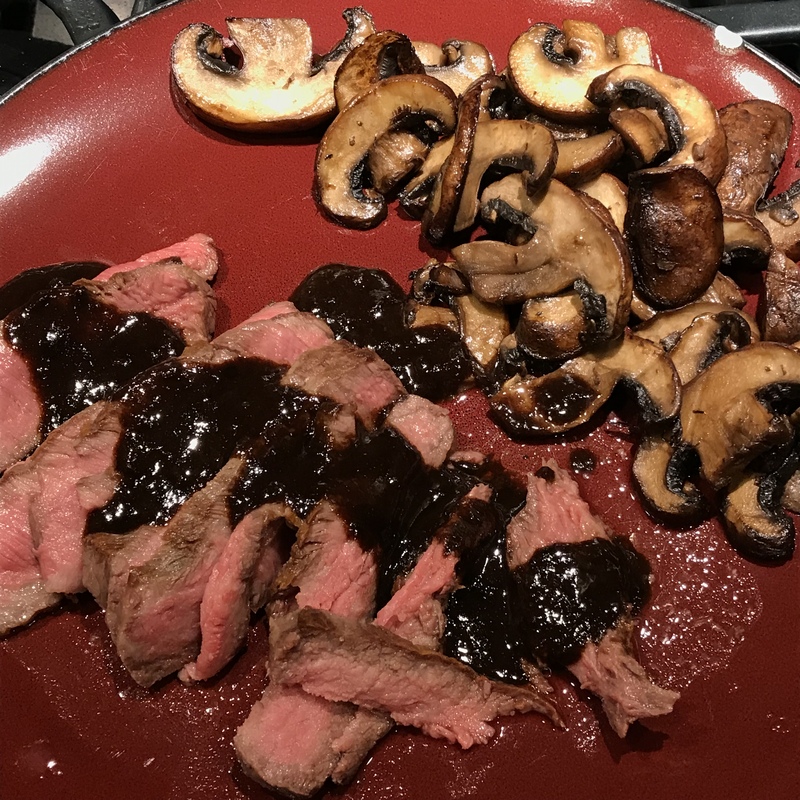 I also dislike the mushy not-really-a-crust that is produced over lower heat, and only fairly high heat will produce a true sear. So cast iron it is. Keeping a skillet seasoned takes a little extra work but not much. The Maillard browning reaction is the cook’s friend for deepening flavor and it happens happily in hot cast iron. The meaty tang that browning produces makes carrot steaks an ideal vegetable entree. 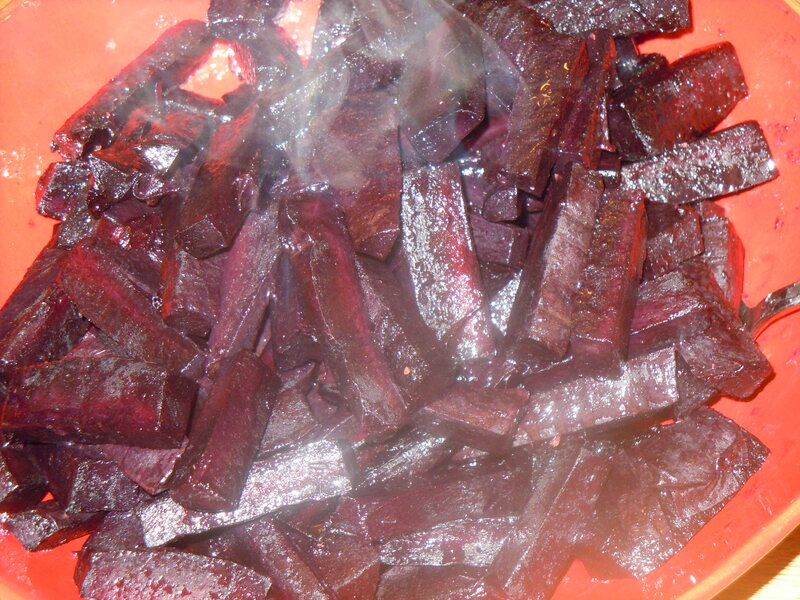 The same general method can be applied to purple carrot quarters as shown in the steaming plateful above. In this case I cooked them over lower heat for a longer time with no seasonings but salt and olive oil, and added thyme butter just before serving. 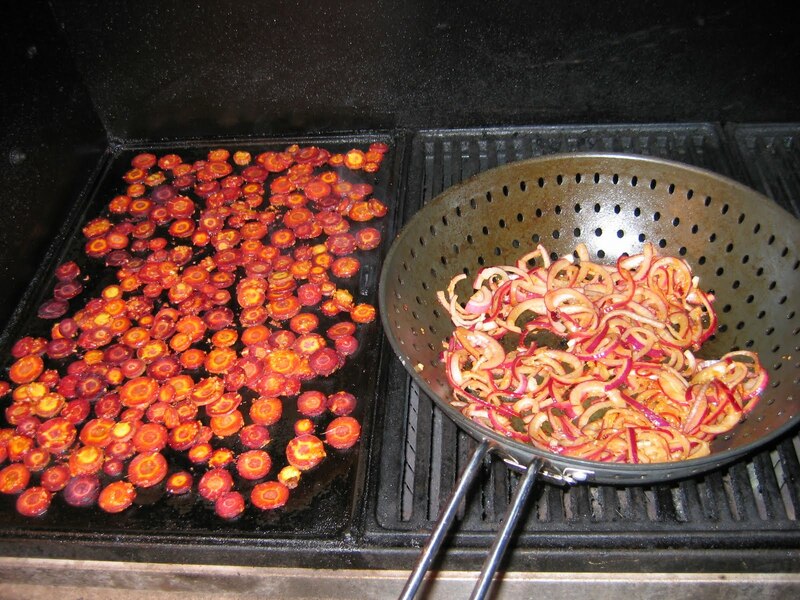 Grilling is another great way to cook purple carrots. The ones shown above are a purple-blushed variety that I grew before I discovered Deep Purple, seasoned with garlic and ginger midway through grilling so that the garlic doesn’t burn and topped with chopped turmeric leaves to accompany a dish of southeast Asian grilled shrimp.